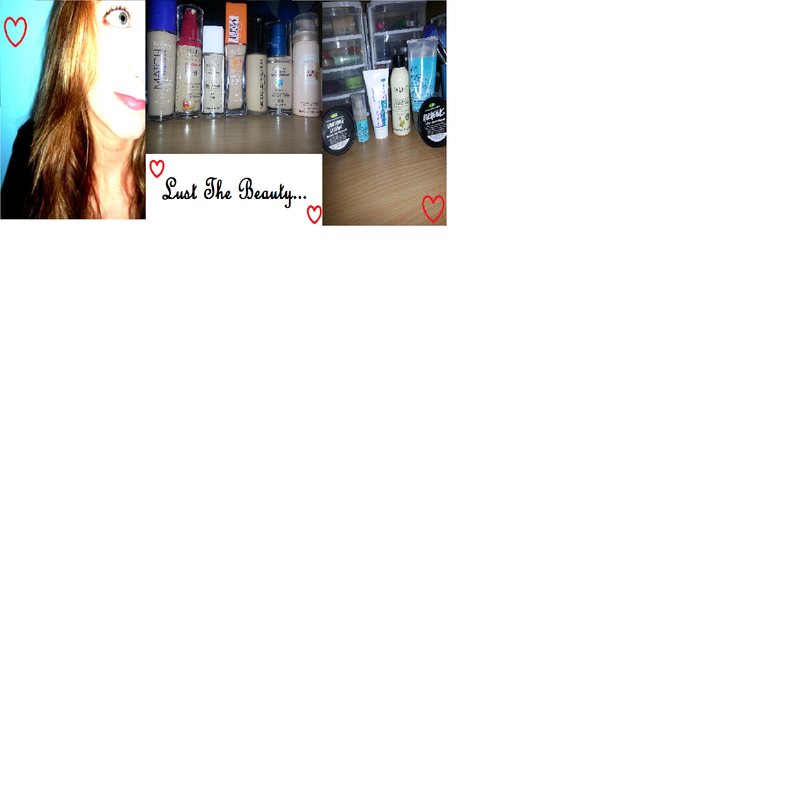 Lust The Beauty: Bourjois Haul! Boujois, established in 1863, but first created by a theatre artist by the name Joseph-Albert Ponsin who gave the whole establishment to his friend Alexandre-Napoleon Bourjois. Monsieur Bourjois made the company blossom and become internationally known. Priceline (my all-time favourite store) has a nice little stall for Bourjois products, and every time there's a sale, I buy. So over the last couple of months I've collected seven of their products from great sales and free gift sales! The first two items I purchased (my first ever purchases from the Bourjois range) were two Color Boost lipsticks in Peach on the Beach and Orange Punch. 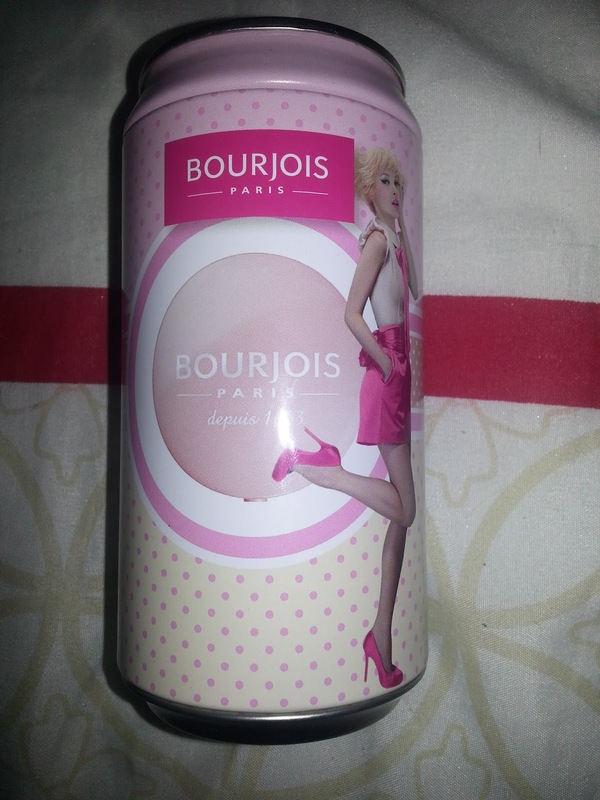 The second product I purchased is actually part of the 150th year celebratory thing Bourjois are doing at the moment. Apparently they have reproduced one of the first products that made them expand exponentially back in the eighteen hundreds. 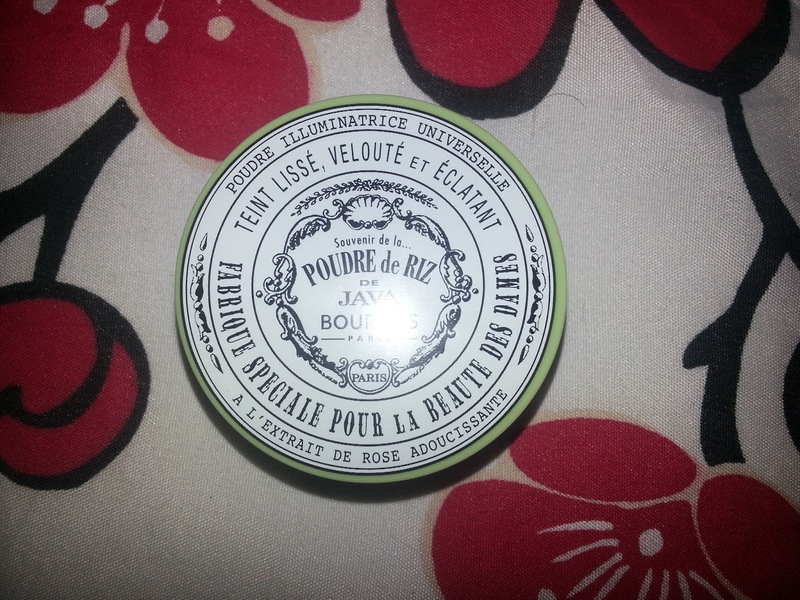 It is a loose finishing illuminating powder (really multi-use), which smells like roses which is devine. 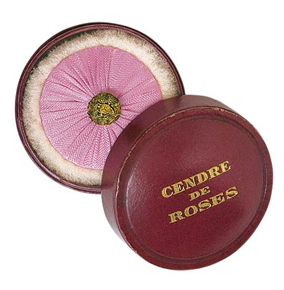 I've noticed a few of their products smell lightly of roses, which I adore. I hate that strange smell that some makeup has. Ick. Such lovely vintage packaging which is not exactly the same as the first one that came out, nor am I guessing it has the same ingredients as the first product. The first product looked like the image below and contained mother or pearl (I don't know if cosmetic brands use this anymore) and was mixed with liquid and oven-baked. I'm guessing that the celebratory product I purchased does the old one justice. It's cute, it smells nice, and it really makes a different on my face. I tend to like a very subtle blush and bronzer look, so I'll put powder over the top, but once I bought this, I put this over the top of that, and it really made a difference. My face looked airbrushed. I didn't think a translucent powder would make such a difference, but my face looked so much more radiant and just a little shimmery. Just healthy, really. So, naturally after these three great products I fell in love with, I HAD to keep my eyes peeled for more deals. You'll never guess the bargain I got today, oh golly gosh. Priceline (yes, I know, I'm obsessed) had a deal going where if you spend over $25, you received a lovely gift apparently worth over $45, as a part of the 150th celebration. So here is what it was and what was in it. This pretty little vintage soda-can look tin (the top comes off and it makes a great storage tin for eyeliners! 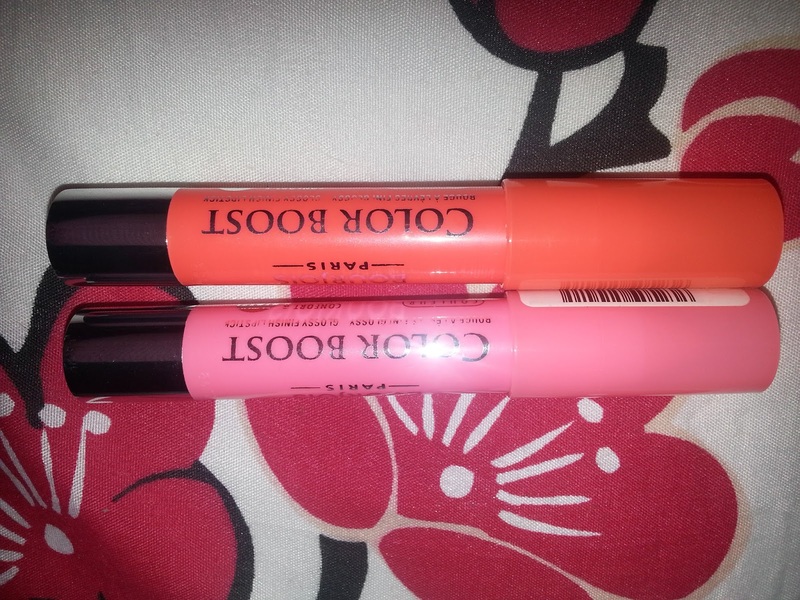 34 Rose d'or or Golden Rose, and a flower perfection smoothing primer. Now the blush is usually $20, and the primer is usually $25, so yes, it is worth $45, but the TIN, oh yes. I love it, perfect for storage. I haven't used either of the blush or primer yet, but when I do, I'll be sure to do a review. I'm sure you're wondering now, "well wait, what did you buy that was over $25 to get this free gift?" And the answer to that is even better, because it came with another free gift!! 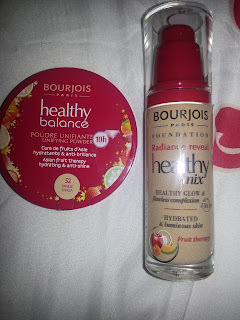 Another deal they had going was that if you bought the Bourjois Healthy Mix foundation, you got a free Healthy Balance powder. And luckily for me there was one left...in my shade(vanilla)! So, being suspicious of such great deals as I am, I went and asked a lady who worked there if both the powder and the free gift would come up as being for nothing. At this stage, by the way, I didn't know how much the foundation was, but even if it was $45 I was still getting all the items half price plus a free tin, not to mention the powder, if I was lucky. Foundation, powder, blush, primer and a tin for $32. WOW. That is $97 worth of Bourjois products for $32. Excuse while I go run for joy. Bourjoise is a gorgeous brand, and seems to be specially made for fair skinned gals like myself; very light, shimmery and...princess like. I can't wait to try the blush, primer, foundation and powder! The only downside is that a lot of the packaging is in French, but usually there is an English translation either on the product or on the shelf. 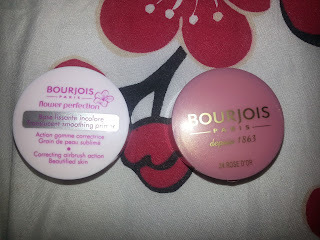 Either way, keep and eye out for sale Bourjois items, as they are absolutely amazing!